In this post you’ll discover what I think of the Lip Smacker brand and watch me fan girl over lip balm! Disclaimer: Product in this post was provided c/o Octoly.com/Lip Smacker in exchange for my thoughts. All opinions are my own. I’ve been hesitant to take on any makeup sponsors because I want my focus to be on fashion. But, after a successful collaboration with Colourpop a few months ago, I felt ready to take on the challenge of marrying makeup with fashion. 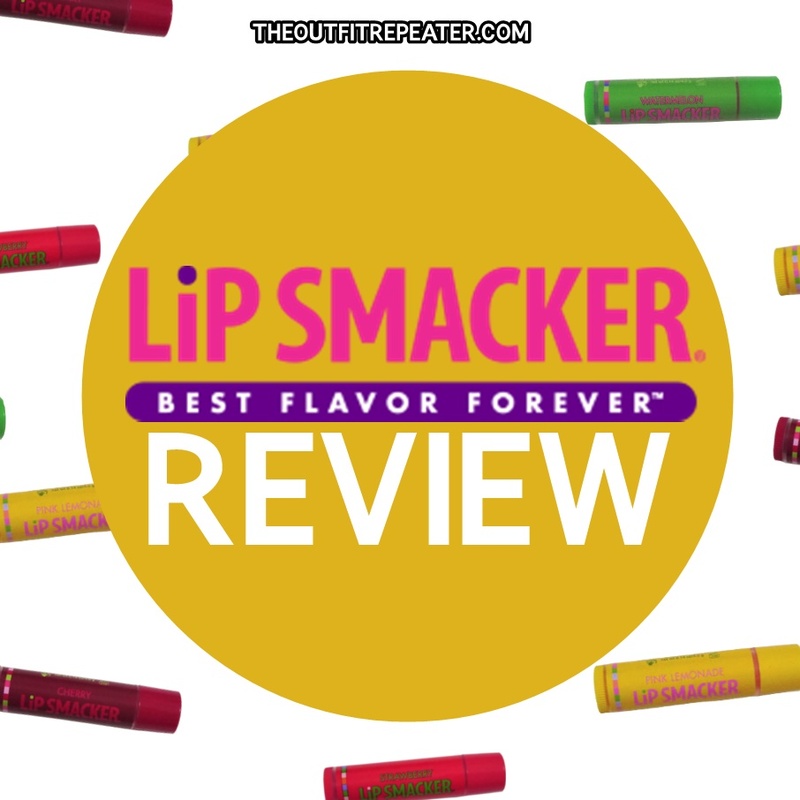 And in a fun twist of fate, I was chosen to review a collection of lip balms from my all-time favorite brand Lip Smacker. When Lip Smacker wants you to review their products, you do it. Lip Smacker is a brand I’ve used since I was a kid and I can easily see myself growing old with them. It was fun to find a way to review their cosmetics in a way that felt authentic to me. Lip Smacker is an established name in the beauty world. I think the generation before mine has fond memories of using it in their youth as it was such a staple of any Caboodles case in the ’80s. My introduction to the brand came in the early 2000s when I tried out the Dr. Pepper flavor on a whim. I’ve been hooked on their brand ever since! The lip tin I was sent to review is a collection of four original & best Lip Smacker flavors. The flavors included are pink lemonade, watermelon, cherry, and strawberry. Watermelon is very adventurous. It’s personally too tart for my taste but when I do grab it in a hurry, the taste brings images of summer to my mind. Cherry has a classic taste. I believe it’s a derivative of the Dr. Pepper flavor that I mentioned above so I was already a fan when I tried it. I would say it’s the most neutral of all the flavors carried in this lip tin. So if you’re scared of flavor, try this one first! And lastly is strawberry which is just as sweet as can be! I’ve been using it for the past few months and I really love the pleasant scent and that the taste is not overwhelming. Overall, the lip balms constantly deliver on moisture, low key shine, and delicious flavor selection. If you’re interested in purchasing any of the Lip Smacker products like novelty shaped tubes, collections & sets, or licensed characters, you might have difficulty as I have. To my knowledge it’s carried at places like Kohls, Target, K-Mart, and of course you buy it directly from their website. I promise it’s worth it if you can find it! I want to give a big shout-out to Octoly and Lip Smacker for making this review possible. Also, if you happen to find any extra pink lemonade lip balm lying around, feel free to send it my way.? Let me know in the comments what flavor would you most likely stash in your Caboodles case!